A product of C.D.C. Srl, an Italian company, this realistic line of combat helmets from the late 90s comes with a classy touch of an always cherished view for any military collectibles enthusiast. An impressive die-cast helmet with plastic, tissue and rubber details. 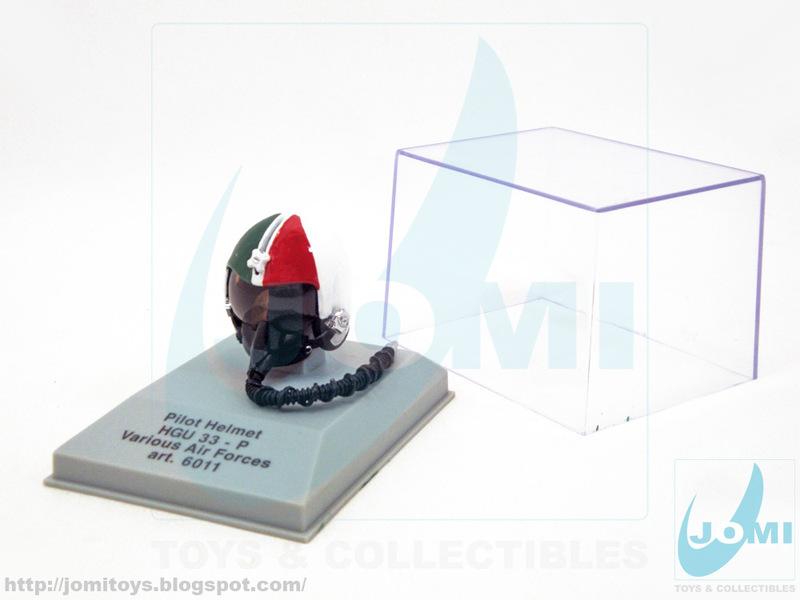 The collection holds several units, from helicopter to jet figher pilots helmets. 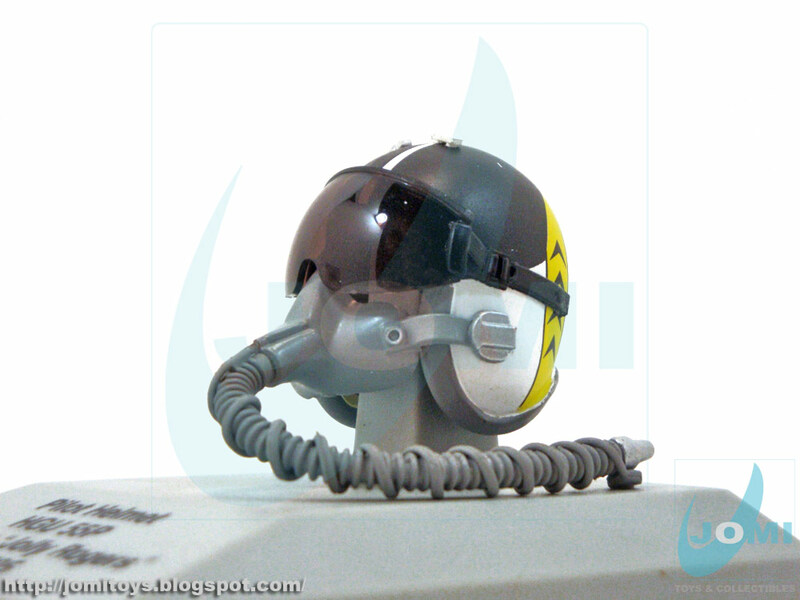 Here you can see the HGU 55P and HGU 33 - P flight helmet models. 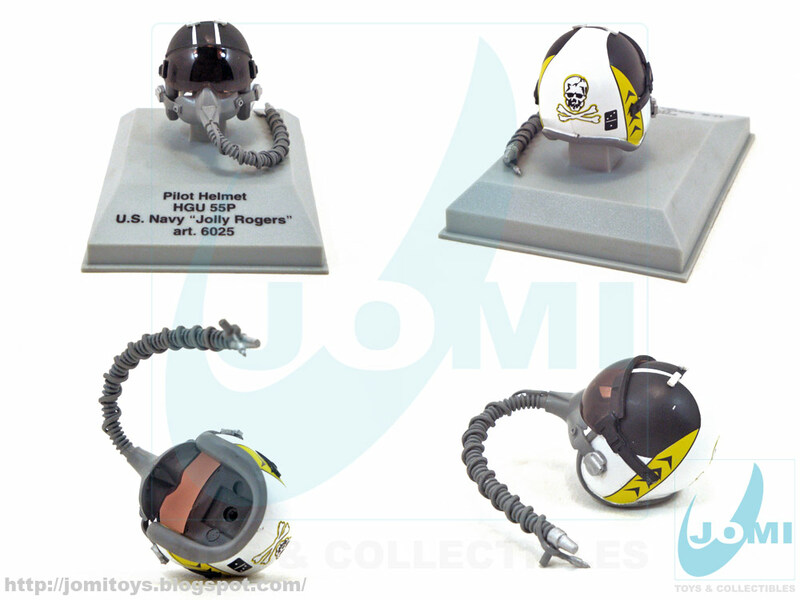 HGU 55P with U.S. navy "Jolly Rogers" color scheme. 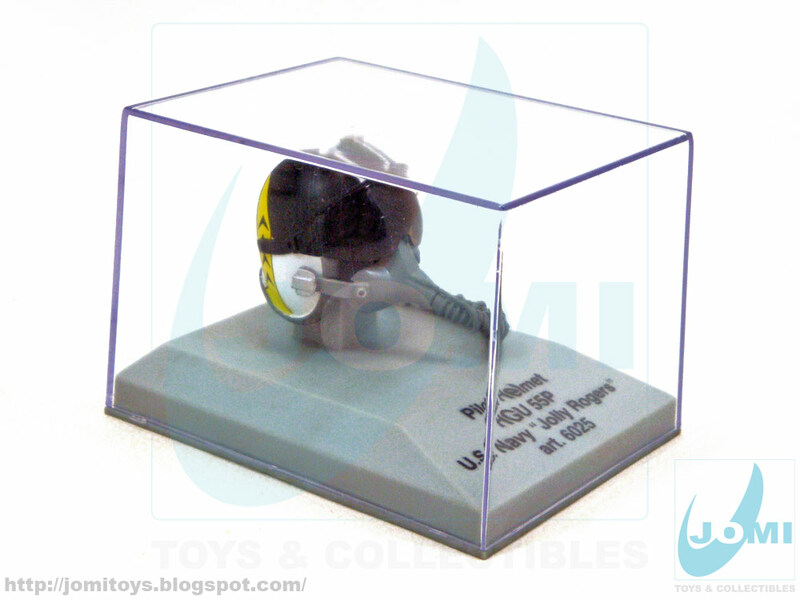 You can have it on its stand or unscrew the 60g (2.1oz) helmet and hold that cool piece art. To compare with the real thing, click here. They come with a cool plastic case too! The HGU 33 - P flight helmet. 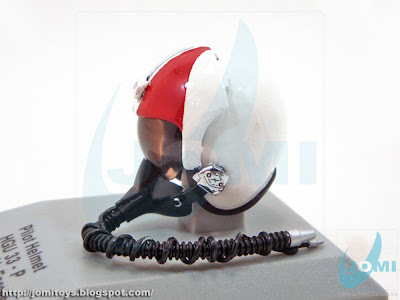 For a great schematics on this helmet, visit Flighgear On-Line. 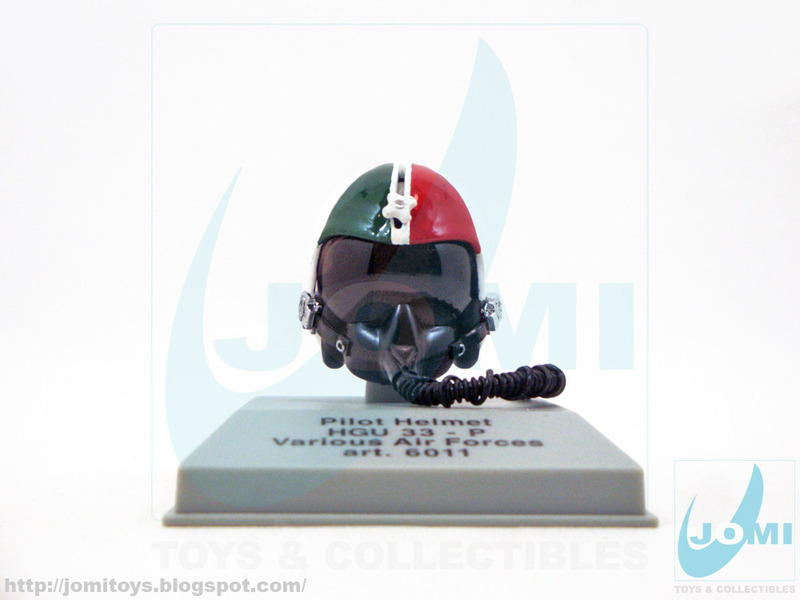 This particular model was given to me by a friend who actually flew with the flight demonstration team "Asas de Portugal" (Wings of Portugal) back in the 80s. Hand painted by my friend, it shows the actual colors of their helmets when they flew their old T-37s. 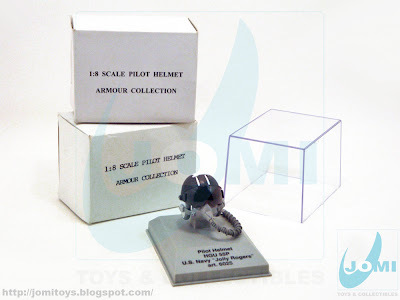 These Armour collection helmets are a true beauty and if you´re an aircraft fan, and if you can still find them, I sure advise to grab the ones you can get your hands on! I hear there are over 30 different models/ color schemes. Labels: armour collection, c.d.c. s.r.l.